UPPCL Recruitment 2015 | www.uppcl.org Technician Vacancies : 1. 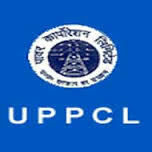 Uttar Pradesh Power Corporation Limited (UPPCL) has released the recruitment notification to fill up 390 Vacancies of the Technician Posts. All the candidates who are eligible and interested can apply online on or before 16th March 2015. Out of those 390 Posts, there are 175 Posts belong to Electrical category, 200 Posts are of Mechanical and 15 Posts are of Instrument category. Age Limit : The age of applicant should be in between 18–40 years as on 1st January 2015. Age Relaxation will be as per Government Rules & regulations. Educational Qualification : Candidates who want to apply against UPPCL Job vacancy they must have completed high school or equivalent and DOEACC certificate of course on computer concept (CCC). 1. Rs. 1000/- for General And OBC Candidates. 2. Rs. 700/- for SC / ST Candidates. 6. Note - As Application form fee through NET Banking or Challan Form payable at State Bank Of India (SBI) Bank . 7. Selection Process : Based on the performance of the candidate in Computer Based Test (CBT) & Interview, selection of a candidate will be done. 8. How To Apply : Candidates can apply online by visiting the official website of UPPCL (www.uppcl.org) 16th March 2015. They must fill online application form and take a printout of it for further usage. 11. Candidates join us on Facebook to receive latest news and updates about UPPCL admit card / hall ticket 2015, UPPCL results 2015. Guys subscribe us or bookmark our page for future reference.